I've had this pack for about twelve years, mostly for day hiking for exercise and camping. The straps feel great and the adjustments are very easy. The hip strap could be a little longer, definitely not for those of us with a bigger belly. If this pack doesn't have the capacity you need, get an RV. There is plenty of room for everything you need to take with you. I carry two tanks of fuel for my stove, a three-piece cook set, a bivy tent, sleeping bag, large tent pegs, water purifier, emergency gear, and still have room for clothes for a week for my wife and me, as well as some food. I tend to carry a good bit of weight when exercising and it distributes the weight over your hips and shoulders very well as long as you pack correctly. I love the fact that it has four mesh pockets, it keeps frequently used items handy. Welcome to Trailspace, Kyle. Thanks for posting. Do you have any pictures of your pack? Welcome to Trailspace, Kyle! I'd also love to see some pictures. Yup, this pack is "absolutely huge! ", as the ad proclaims. Max. Load Carried: 70 lbs. Yup, this pack is "absolutely huge! ", as the ad proclaims. It also is the most bang for your buck in internal frame backbacks out there! (Thanks Campmor!) I promise, you won't need another pack after buying this one! Lots of features, lots of pockets, LOTS of ROOM! Sleeping bag stuff area will hold a bag AND your tent! Two side compartments hold my 2 cans of Bluet fuel, stove and spare H2O. Top is expandable, and when fully loaded, you are still comfortable due to the many adjustment point and well padded hip belt. The removable fanny pack is nice for stowing your personals and such, or for day hikes from base camp. If there is ANY drawback, it's that fully packed for a week of wilderness fun, it can get a bit heavy. And if you have the pack extended, it may feel a little top heavy. You have to fiddle a bit with the adjustments, but once settled, it is a very comfortable load. Yeah, there's a lot of nicer packs out there with more crap sewn on them that you will ever need. They also are priced accordingly. Try to find one that is 7000 cu. in. and under $200! This pack has served me well for over 6 years and I expect it will for another 20. A pretty good bargain for $120! Buy it! My dad originally bought me this pack when I was heading down to Ecuador for the summer. I loaded so much stuff in this pack it wasn't even funny. I then used it on a 5 day in the southern sierras and later a buddy used it on a 3 week trip to central asia. This pack has been all over the world and it's still running strong. One seam on one of the side pcokets blew out from over stuffing, but that doesn't matter because jansport has the best warranty program out there. 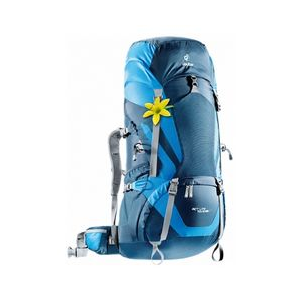 This pack is probably a little big for just the trail, but if you're carrying the world this is the pack for you and it is at the right price. It is very comfortable and highly adjustable. It's tough to compress everything if you don't have a lot of stuff. It took me a little while to get over the name but with my extra money I got a water filter, and stove. Names are nothing, do the research. Height of Owner: 1.78 m; 5'10"
Great pack for a great price. I bought my Alaska in 1998. I have yet to hit the trail with it, but I carry my shoppings in it. It is very reliable and comfortable. Padding is excellent, but the hipbelt used to widen during long walks; a little ingeniousity solved this problem. I expect good service for many years to come. Since this model has been discontinued, it is going to be tough to find a replacement when the dreadful moment comes. 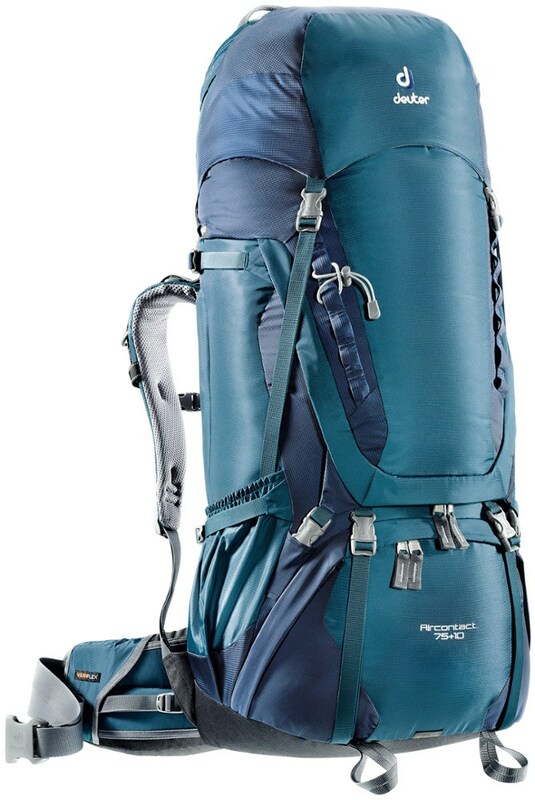 I got this pack last year for about $100 from Campmor, and just got around to using it. I bought this pack to carry large loads, or other people's gear (such as spousal gear). 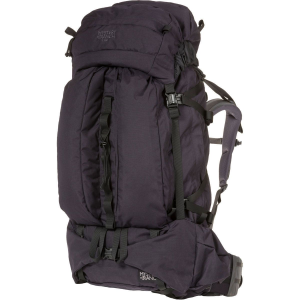 As others have stated, the pack is comfortable, all the pockets and storage space is great. And it can't be beat for the price. I had no problems yet with durability, everything looked fine. On this trip, I only carried about 40 lbs. Since the main compartment is large, I feel that it is tough to compress a lighter load close to your body. I experienced a small bit of lateral sway from time to time based on this center of gravity problem. I am not sure how a really heavy load would do. However, this was minimal and I mentioned it just to be able to add some 'con' to the review. I am incredulous when I read about people recommending $500 packs. 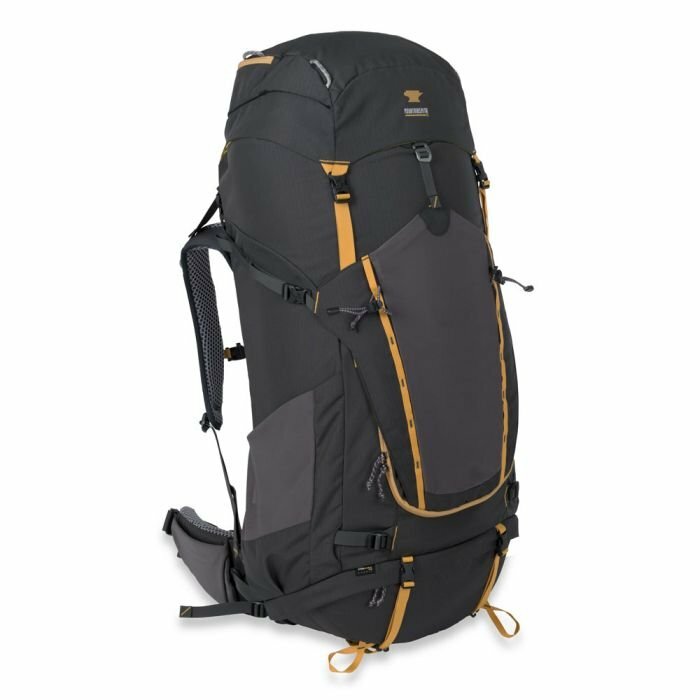 I recommend buying the Jansport Alaska, and using the remaining $400 to purchase all your other gear (which incidently, should fit in the Alaska). This was a bargain at the original price of $190 let alone the sale price I got it at. I have gone on several three-day winter camps with plenty of stuff packed in this pack and I have always had plenty of room left. 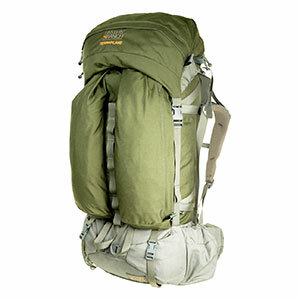 This is a great pack that is very adjustable, very comfortable, tons of space, tons of pockets, and seems very durable. I have not had any problems. I also like the weight of the pack, somewhere in the high 5, low 6 pound range, a very good weight for a huge pack like this. 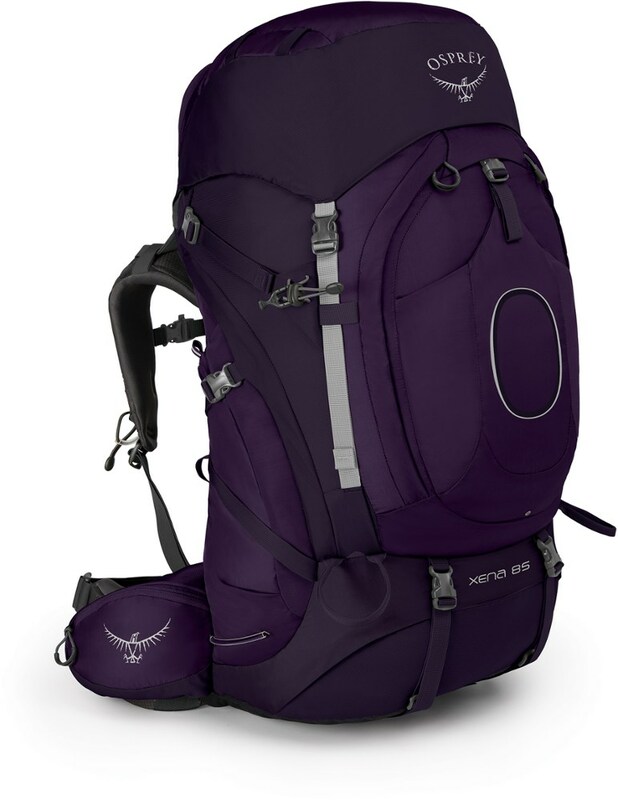 The only problems I see with this pack is that other people hiking with you will try to help you load your pack with their stuff! Great buy for a great pack. This was the first pack I bought since my Boy Scouts days, when I was using a Kelty external frame. As the company's description says,"this pack is absolutely huge!" and they mean it. It will hold everything you would want to pack inside, safe from dust and snags. There're compression straps for everything, and the detachable bum-bag on top is handy for short excursions from base camp. The application of Jansport's HexStop fabric seems a little meager for them to make such a to-do about it, but I probably have yet to see an instance when that little bit will save my gear from tumbling into a chasm. The dual-density hipbelt provides ample support without any chafing whatsoever, and the back-hugging shape allows plenty of flexibility when climbing over obstructions in the trail. The only problem I've had so far is the clip-strap for the detachable mesh organizer in the front pocket became unstitched; permanently detatched. Apart from that, this pack has served me well, as I expect it to do for at least a few more years. Good pack. The sleeping bag compartment is large enough for a sleeping bag and a tent. The only thing I've had go wrong with this pack was the frames coming out of the velcro slots. The Alaska has been discontinued. The JanSport Alaska is not available from the stores we monitor.